Don't need a whole room? Just a few workstations? 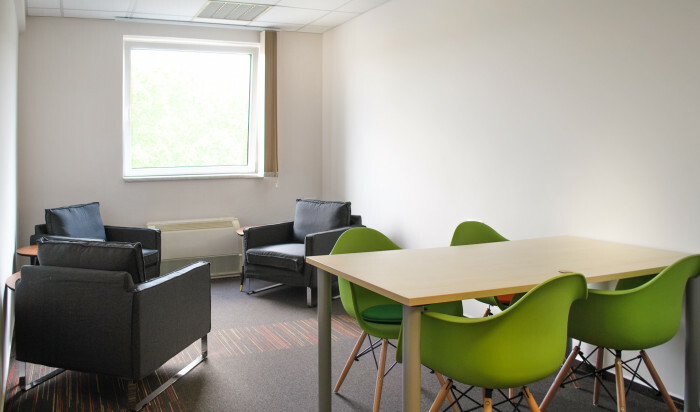 Choose Offices2Go's category 'A' coworking space and keep your costs in order! Offices2Go’s coworking service is best for 1-2 person firms who need a modern business environment but also looking for a flexible and cost-efficient solution. You can rent work stations for a day, 2 weeks but also continuously. You can select the best option for you and have a totally tailor made solution. We ensure a trial day for you! In case our coworking service interests you click on the button and we answer you in 24 hours.